Race Tech is now accepting applications to join the Race Tech Team for the 2013 racing season. After hosting a large grassroots support effort in 2012, Race Tech is going even bigger for the upcoming season. Apply today to join the Race Tech Rider Support Team for 2013, and let our years of testing, tuning, and product development give you the best suspension on the track. With loads of new technology to talk about, the upcoming Race Tech Technical Edge Suspension Seminars are a must-attend event for anyone working with suspension. Race Tech will take an indepth look at all the new trends in suspension including PSF, SFF, BPF, and more. Race Tech has just released a Shock Spring Collar Set for 2010 and newer KTM offroad bikes featuring a linkage system. These collars are constructed using hard anodized billet aluminum as a replacement to the stock OEM plastic units. Race Tech will be providing trackside support and offering a complimentary Suspension Seminar at the upcoming Barber Vintage Festival. Read about the upcoming event and more in this edition of Race Tech News! August 29, 2012 - Race Tech Graphics Kits by Split Designs Co.
Race Tech and Split Designs Co. are excited to arounce the 2013 Race Tech Series graphics kits available now to give your bike a clean new look. Available for all five major OEM's, Split Designs has Race Tech Series graphics available for almost any motocross bike out there. Check out the latest edition of Race Tech News. Fall Seminars are just around the corner, so sign up today to uncover the black art of suspension tuning. Also, check out our new Engine Seminar Class and Australian Technical Edge Suspension Seminars. Cody Piscitelli from Race Tech Center, C & M Performance, endured a nasty get off and suffered paralysis from his chest down. Not letting anything hold him back, Cody is looking forward to returning to building suspension and enjoying the sport he loves. To do this, his home, shop, vehicles and more must go through renovations to adapt to his new way of life. If you'd like to help support Cody and his family while he battles his way through physical therapy; please take a moment and visit the Cody Piscitelli Benefit Fund Page. Stay strong Cody and battle on! Carlin Dunne and Greg Tracy aboard Factory Spider Grips/Ducati machines with Race Tech Gold Valves and tuning dominated the motorcycle division at the Pikes Peak International Hillclimb with 1-2 finishes respectively. Dunne crushed the Pikes Peak motorcycle record he set just last year en route to his victory at the second oldest motorsports race in the country! The Race Tech team heads to Joliet MX for Race Tech Test and Tune Days. Late nights of suspension building and track prep are followed by fun days of riding and tuning with our Midwest riders. Day two of the Midwest Tour continued on through the night from Day 1. Sometime throughout the evening we passed through Texas and into Oklahoma. As the sun began to rise, we almost made it out of Oklahoma... but not without a morning visit from a fan from the Oklahoma State Patrol. Luckily, everything checked out okay and we were back on the road after a few questions and a tour of his squad car. Day one of the Race Tech Midwest Tour kicked off with an early alarm in Corona, CA. Loaded with a ton of Race Tech product bumper to bumper, the Race Tech funmover that will double as home for the RT crew for a few weeks hit the open road. Rob, Sydney, and Jeremy were enroute as the sun began to rise into view. July 19, 2012 - Shop Novik, Win Gold! Race Tech and Novik Gloves have teamed up to give you a chance to win a Race Tech Gold Valve Kit with the purchase of a Novik t-shirt, hat, or gloves. In the past couple of seasons, Race Tech has expanded a great deal in the North Central region of the United States. To help better serve our rapidly growing audience in the area, Race Tech wanted to strengthen the alliance with EBSuspension. Already a loyal Race Tech Dealer with a great name in the area, Eric Brown at EBSuspension was the perfect choice to provide service in this demanding region. Race Tech will be setup on site at Loretta Lynn's to support all the riders competing for National Championships. If you are competing at Loretta Lynn's, stop by the Race Tech booth. Our team of highly-trained technicians will be offering bike setups all week long; as well as, have the tools and staff needed to rebuild and service your suspension. For 2012, Race Tech has revamped an already successful Rider Support Program to support more riders than ever from around the world. Race Tech has developed a very strong relationship helping many of the struggling privateers in the pro ranks, and when the opportunity came to do something similar for one of the nations top amateur talents; Race Tech jumped at the opportunity. As part of their Midwest Tour, Race Tech is excited to announce Race Tech Test and Tune Days at Joliet MX on Monday, July 23rd and Tuesday, July 24th. During these days, Race Tech will be setup to providing testing and tuning to all riders in attendance running Race Tech Suspension. Race Tech is excited to provide the defending Pikes Peak championship winning factory Spider Grips/Ducati team with suspension components and tuning for the 2012 "Race to the Clouds". Last year's champion, and Pikes Peak motorcycle record holder Carlin Dunne joins the team alongside 6-time winner Greg Tracy. MX Holidays is built around providing the ultimate moto-vacation, and Race Tech has teamed up with them to make each trip safer and more fun. Race Tech will provide suspension setup advice, springs, and even Gold Valves to the MX Holidays fleet of motorcycles. Race Tech's Rider Support Program continues to grow as we move into the summer, and the Race Tech Team riders are continuing to put in great performances around the world. Whether in the dirt or on the pavement, you're likely to see the Race Tech riders at the front of the pack. Due to a volume increase, Race Tech is excited to announce new, lower pricing on nearly the whole line of G3-S Custom Series Shocks. Have you been putting off getting the top of line, cool looking, custom shock that your ride deserves? Now is the time to buy the most customizable shock in the industry! Race Tech supported Team Peterson took to the monster hill at Glen Helen in San Bernandino, CA for rounds 2 and 3 of the N.A.H.A. Pro Hillclimb Series. The team, led by Bret Peterson stood atop the podium in 6 of the 8 classes throughout the weekend. The latest edition of Race Tech News is now available. Race Tech's Matthew Wiley will be on hand at various Rallies throughout the summer. Check out an event near you to stop by and see Matthew. During the past couple of seasons of Supercross, Bruce Rutherford used Race Tech to consistantly finish inside the top 15 in main events as a member of Race Tech's Privateer Mafia. In 2012, coming off a great ride at Round 3 of the Supercross season, Bruce was offered a support team ride and was forced to part ways with Race Tech for the remainder of the season. After finishing out his contract, Rutherford has reunited with Race Tech and once again will headline the Privateer Mafia throughout the summer and into next season. The second round of the AMA Pro Motocross Championship kicked off last weekend at Freestone County Raceway in Wortham, Texas. Once again, Race Tech's privateer mafia was out in full force giving the factory guys a run. Race Tech is excited to announce a new Race Tech Center in Dade City, FL. Six12 Suspension will now be offering Race Tech products and services. With an impressive resume of over 15 years experience working with riders like Timmy Ferry, Kyle Chisholm, Tyler Livesay, and more; both Race Tech and SIX12 will definitely benefit from this partnership. Meghan Rutledge shocked the WMX world by bursting onto the scene and winning the second moto at Hangtown. Nearly a dozen Race Tech riders qualified into the motos at Hangtown in the 250 and 450 divisions with Lamay, Anderson, and Rusk showing they can beat the factory guys on their Race Tech backed privateer bikes. The latest edition of Race Tech News is out. In this issue, read about the Racer X Package for the YZ450F. Kevin Urquhart, Tyler Livesay, and Colton Hildreth will join the Race Tech Team for the 2012 AMA Motocross Tour. The trio will join the already talented group of Race Tech athletes on the starting line this weekend at the Hangtown Classic near Sacremento, California. 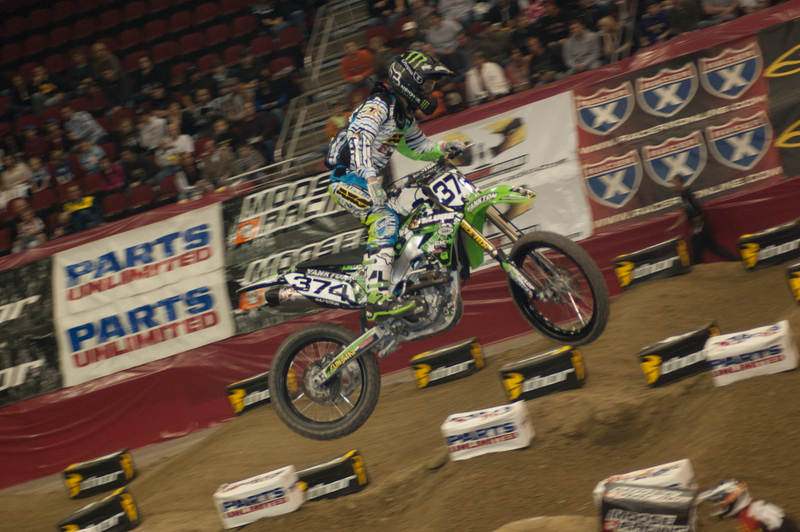 Race Tech took home over 20 top 10 finishes at the AMA Amateur National Arenacross Championships at South Point Casino in Las Vegas, NV over the weekend. Logan Skaggs and Tayler Grall took home championships for Race Tech at the event. Former Supercross winner and factory rider David Pingree tested out a 2012 YZ450F equipped with Race Tech Suspension at Cahuilla Creek MX. The former racer, now RacerX staff member was definitely impressed with how much Race Tech could improve the challenging YZ450F. Race Tech is excited to announce we are featured in the mobile game SupaSupaCross! SupaSupaCross is an arcade style racing game where riders tap, tilt, and turbo-boost their way to the finish line. Be a SupaSupa star as you race across ten exciting stadium levels and increasingly difficult series challenges. A nostalgic top-down racing experience full of fun tracks, boost pads, slow-downs, and SupaSupa offroad action. Race Tech is pleased to announce that they will be on hand to provide trackside technical support to all the riders competing at the AMA Amateur National Arenacross Championships on May 4th and 6th at the South Point Casino in Las Vegas, NV. Race Tech has just released a Shock Bottom Out Bumper for the 2011-12 Cobra 50cc motorcycle. Through testing with top amateur mini riders like factory Cobra supported Hunter Yoder, we've found that the stock bumpers shred within a few rides; even as soon as a couple of laps! 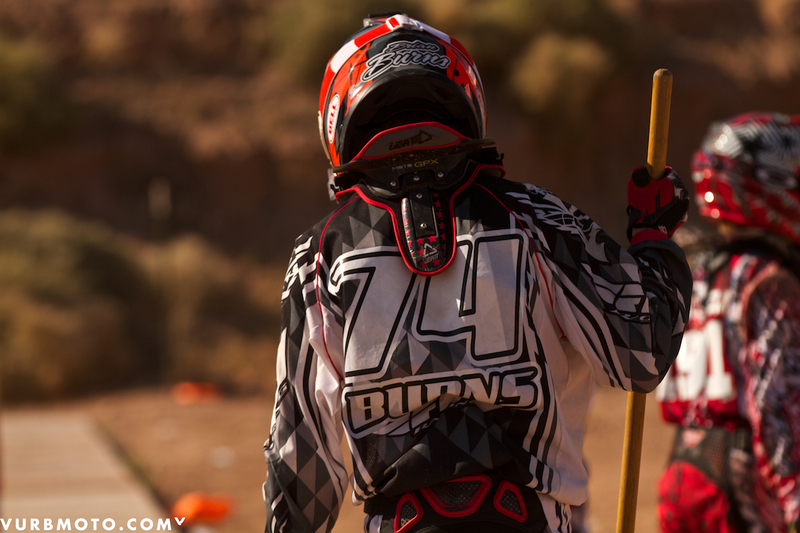 The top amateur racers in the world headed to Mesquite, NV for the NMA World Mini Amateur National this past weekend. Riders Ciaran Naran, Bruce Marada, and Hunter Yoder all notched moto wins throughout the week. 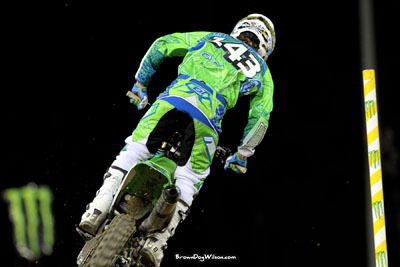 Cody Gilmore beat the odds once again and put his KX450 in the AMA Supercross Main Event in New Orleans, LA. Killy Rusk and Cody Schaefer went 1-2 at the WEBE Offroad Event. VitalMX visits with Race Tech's Paul Thede about the upcoming Seminars, Gold Valves, and the suspension business. April 11, 2012 - Go Ben! Race Tech support rider Ben Truslow is currently recoving in a Las Vegas Hospital after suffering a head-injury during the WERA West Event at Las Vegas Motor Speedway. Please take a moment and show your support for Ben Truslow and his family! Maley Motorsports is a new Race Tech Center in Florida. Visit MaleyMotorsports.com to get your Race Tech products and settings installed locally in the Southeast. The Race Tech Team impressed around the world over the weekend; highlighted by RT backed privateer Preston Mull qualifying for his first AMA Supercross Main Event in the premier 450cc division. The latest edition of Race Tech News is ready for release. Take a peek inside to see what Race Tech has to offer for your Harley-Davidson Softail, including our completely re-engineered G3-ST Custom Series Shocks. FMF Racing and Race Tech have joined forces for 2012 to provide top notch American made products to members of the FMF Amateur Army and the Race Tech Team. Through a new Associate Sponsor Program between the two companies, riders will be able to transfer benefits from their FMF program over to Race Tech and vice-versa. The Race Tech Team was out in full-force last weekend. The Road Racing season shifted into high gear; while Derek Anderson and Blake Gardner were tearing up the dirt on their way to victories. Race Tech has proudly partnered with The Autism MX Project to bring Awareness and Acceptance to Autism inside the Motocross Community. Be sure to stop by and LIKE the Autism MX page on Facebook, and if you are in the area; attend the 1st Annual Ride for Awareness Day at Cahuilla Creek MX on April 15th. The Race Tech Rider Support Team had a great weekend of racing scoring wins at events all around the world. Alvaro Lozano Rico took control of the points lead in the Spanish Motocross Series with 1-2 finishes at Round 2 in the premier MX1 division. Race Tech supported Kniffing, Rutledge, and Wolack all took home wins at the final round of the Muscle Milk TWMX Winter Series over the weekend. Leivan was on the podium at the National Enduro in South Carolina, and the Race Tech Team showed strong at AMA Supercross in St. Louis. Sixteen year old WMX up-and-comer Meghan Rutledge is visiting the US from Australia. This past weekend she turned heads at the TWMX Race Series is Southern California running well inside the top 5 against the guys and dominating the Women's division. TransworldMX sat her down for an interview to talk about her trip to the US and her racing future. Loaded Gun Customs uses Race Tech Suspension on many of their custom bike builds. Check out Race Tech and Loaded Gun Customs on the cover of All About Bikes! Race Tech supported Cody Schafer took the Pro class victory at the Tarantula 100 over the weekend. Vurb Offroad featured a helmet cam showcasing the whooped out track conditions and a blog with Cody this week. Race Tech riders were in action all over the world this past weekend taking home a win at the Motocross National in Spain, as well as, championships at the AMA Arenacross and Gold Cup Series. Race Tech will have a booth set up at the Freestone Spring Championship in Wortham, TX – April 27-March 3 and at the GNC International Motocross Final at Oakhill Raceway in Decatur, TX – March 3-9 to assist your suspension setup at these two key events. If you have any questions or need any assistance in setting your bike up for track conditions in Texas, stop by and see AJ Peck who will be more than happy to help you out. With the help of SSIDecals.com, Race Tech showed off pink fork and shock decals matching their custom pink RT Hi-Performance Springs at Anaheim 2. Killy Rusk showed strong at the event narrowly missing out on a top 10 finish. Race Tech will be on hand at the IMS Show in Minneapolis, MN this weekend. Stop by and see Race Tech's Matt Wiley to learn about all the exciting new Race Tech products available for your bike, ATV, or UTV. Technicians will be on site supporting riders at the AMA Supercross in Anaheim, CA this weekend. If any riders are in need of support at the event, stop by the Race Tech truck and we'll get you taken care of. Race Tech is proud to announce the latest authorized Race Tech Service Center in Kenosha, WI; MotoRider, LLC. If you are in the area and would like to experience the Gold Valve advantage, look these guys up. Race Tech Service Centers are designed to give you the same award winning products, service, and settings you would get from Race Tech's headquarters in Corona, CA in your own backyard. Find a Race Tech Center in your area. With the help of SSIDecals.com, Race Tech will show support for Breast Cancer Awareness at this weekends Anaheim 2 Supercross Event. Each of Race Tech's support riders will be running limited edition fork and shock stickers, in addition to pink RT Hi-Performance Springs for the evening. Race Tech has teamed up with Vurbmoto.com to provide a suspension tech tip each month. 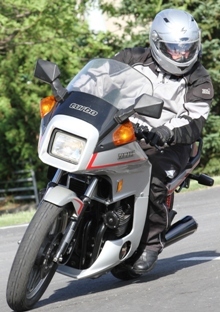 This months tip talks about new bike setup to improve performance without costing you a dime. At Round 4 of the AMA Supercross Series, Race Tech supported Ben Lamay and Killy Rusk had strong performances. Race Tech sponsored 50cc rider Hunter Yoder claimed a victory at the Gold Cup series. RT Billet Dual-Chamber Fork Reservoir Pistons replace stock plastic pistons found in modern KYB Motocross Forks; which have a tendancy for failure. The 2012 Fall Race Tech Technical Edge Suspension Seminar has been moved from November to October 3rd-9th in Corona, CA at Race Tech's Headquarters. If you've always wanted to uncover the black art behind how suspension works and improve your tuning skills, don't wait; sign up for a Seminar today. The 2012 Spring Seminars are rapidly approaching; April 28th-May 4th. Space is still available for all classes for the Spring and Fall sessions. Michael Horban (#143) debuted for Race Tech in LA. DirectMX caught up with Teddy Maier testing with Race Tech at Milestone SX this week to shoot this short video. Click here to watch the video. Race Tech is pulling double duty this weekend. We are displaying at the International Motorcycle Show in New York City all weekend long, as well as will have AJ Peck on hand supporting riders at the Los Angeles round of the AMA Supercross Series. If you are in the area, stop by and see the Race Tech crew. Destin Cantrell recently played host to two of Brazil's finest FMX riders. Not only did he show them the ropes of FMX here in America, but he also introduced them to Race Tech Suspension. Destin took the guys down to Race Tech suspension and got them dialed in. They hooked them up with rider support and tuned in their suspension. According to Fred, "It's the best stuff I have ever rode." They can now take their suspension home and start shredding their compounds with new confidence and determination. Race Tech will be on hand tomorrow night at Chase Field in Phoenix, AZ to support all of our riders at the second round of the AMA Supercross Series. Good luck to all the Race Tech riders! Race Tech will be on hand at the opening round of the Monster Energy AMA Supercross Series offering trackside support to all of our racers. Follow @RaceTechSuspen on Twitter for Live Updates throughout Saturday's events. Race Tech is excited to be exhibiting at the International Motorcycle Shows this Winter. We have increased our booth space to display new products and will have Race Tech equipped motorcycles for you to check out. Fans can review the new Race Tech Suspension Bible and purchase one to take home!